Hirohiko Arai received the B.E. and Ph.D. degrees in measurement and control engineering from the University of Tokyo in 1982 and 1993, respectively. From 1982 to 1984, he worked for Honda Engineering Co., Saitama, Japan. He joined the Mechanical Engineering Laboratory, AIST-MITI, Tsukuba, Japan, in 1984. From 2001 to 2003, he was the leader of the Skill and Dynamics Research Group, Intelligent Systems Research Institute, National Institute of Advanced Industrial Science and Technology (AIST). From 2003 to 2009, he was a Senior Researcher at Intelligent Systems Research Institute, AIST. 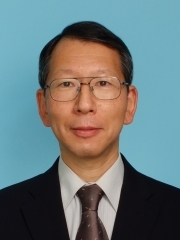 Currently he is a Chief Senior Researcher at Function Forming Group, Advanced Manufacturing Research Institute, AIST. His research interests include robotic metal spinning, dynamic control of manipulators, control of nonholonomic systems, and power assist systems.